If you want to spend Valentine's Day a weeping mess, then make sure to reserve your tickets for the latest Nicholas Sparks adaptation Safe Haven, which arrives on the lovers' holiday Thursday, February 14th. 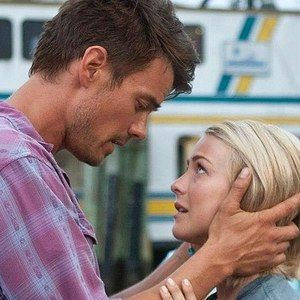 We have a new featurette from this romantic drama starring Josh Duhamel, Julianne Hough, and Cobie Smulders. Hear from the cast and crew as they take viewers behind-the-scenes of this thrilling and suspenseful story about one woman's attempts to love again. We also have new photos with the cast.